Our new headboard, which adds the perfect pop of color in our master bedroom. My Aunt (everyone needs an aunt like her) is the queen of finding old treasures and making them new again. 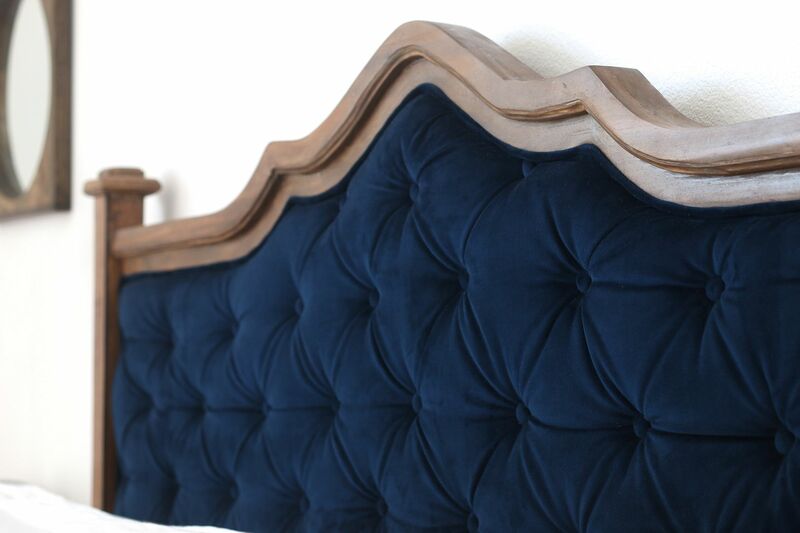 She found this old wooden headboard at a thrift shop, sanded it down, stained it and added the blue velvet tufting. I could not love it any more! You can check out her blog here. 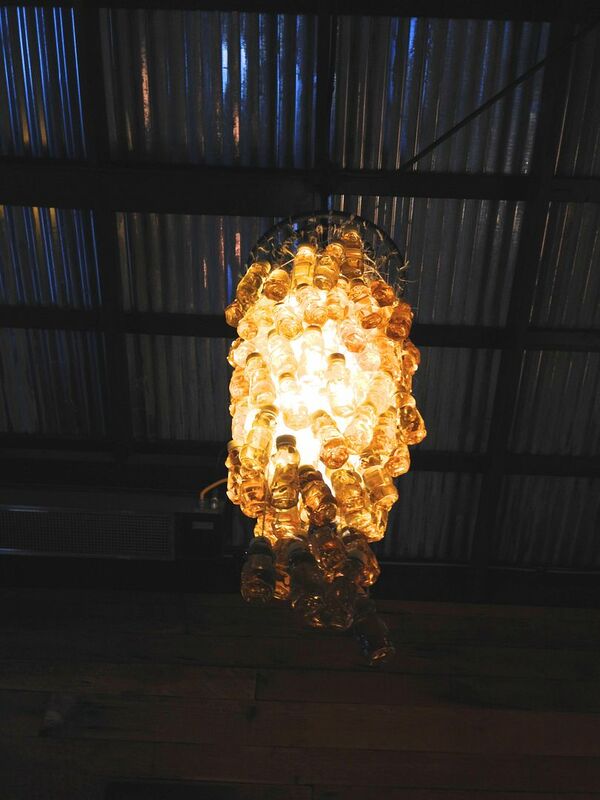 A chandelier made out of bear honey bottles. How awesome right?! I had a girls night last week with my sister-in-laws and this was hanging at the entrance of a really fun pub. Releasing 1,500 lady bugs into our garden for good luck and to ward off all the bad bugs. I mean...that is A LOT of lady bugs haha. I had no idea that you could buy lady bugs but it turns out you totally can. You can also purchase praying mantis but no thanks to that. 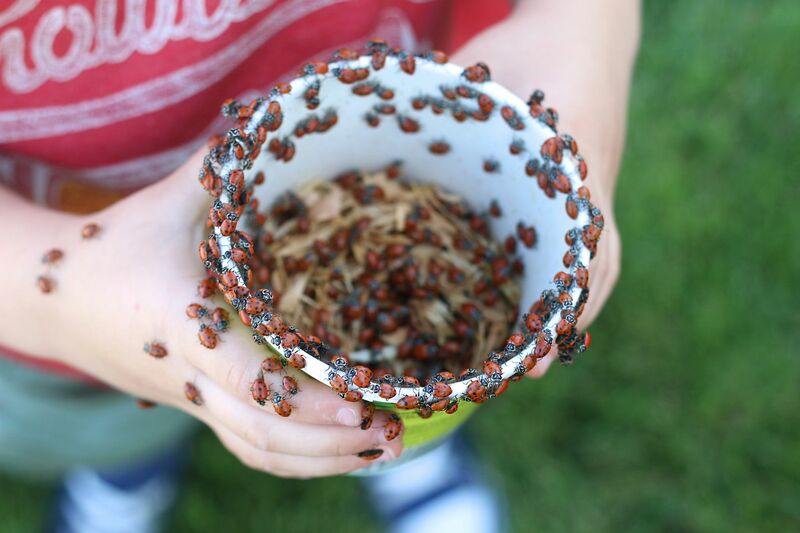 We purchased the lady bugs at a local nursery for $10, which I thought was well worth it for the hours of fun it created for the boys. A perfectly sliced and ripe avocado. I don't know why this makes me so happy but it does. Your aunt did a fantastic job on that headboard, it's lovely and looks better than store bought. What a fun chandelier - Honey Bear bottles, who would have thought of that? Oh my word...that headboard is fantastic! Love the sweet pic of you and sweet little one. I LOVE the headboard!!! Lucky! Our neighbors bought a bunch of Praying Mantises and all I am thinking is that all the lizards that live in our shrubs will be stoked at all the food provided for them now!! I feel the same joy over a perfect avocado!! It really is the little things sometimes :) And you look so gorgeous in your picture from Mother's Day. It reminded me to make an appointment for highlights! That headboard is gorgeous! And now my mouth is watering after seeing that gigantic Bloody Mary. YUM! love that headboard - your aunt is very talented! have a great mother's day! 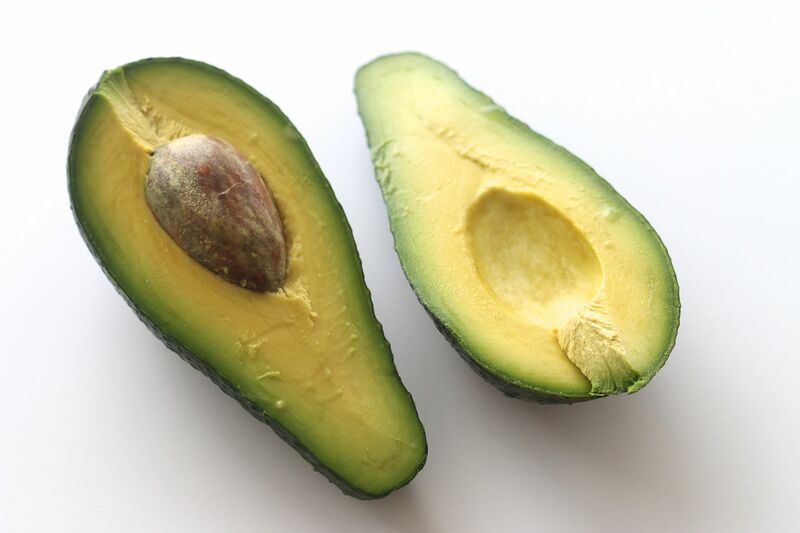 There is something special about a perfect avocado! :) Probably because you never know what they'll look like on the inside... I loved the picture of the ladybugs! Um, that headboard is amazeballs.